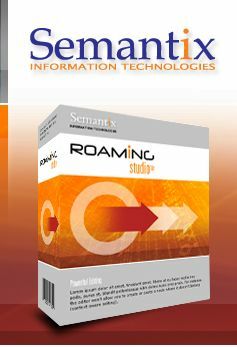 Semantix Roaming Products - Why .NET? Roaming Studio is indeed written in .NET 2.0, but all the code working underneath it is native C++. In fact, the same native code powers the Roaming Components, and thus, the two architectures share everything they can (including the speed of native C++). The native code has been extensively optimized, and is in large part coded by machines (meta-programming), thus accessing only the parts of the TAP trees it must. Small memory blocks are interchanged between the native and the .NET parts of the code only when necessary, thus obtaining optimal execution time.